In a news report about the conflict in Syria by TV4, a Syrian woman was speaking about the US, which, oddly enough, was rendered as "Russia, Iran and the regime" in the accompanying subtitles. After a public outcry on social media, TV4 recognized its "mistake" while translating the woman's outspoken message from Arabic into Swedish. "The attack did not get enough effect, so we want to see more. We want them to avenge us. Russia, Iran and the regime must back off from here because they have stolen our country and our land," a woman living in Douma was quoted as saying on TV4. In reality, however, she didn't mention "Russia" at all, not even once, which was eagerly pointed out on TV4's Facebook page by Arab-speaking Swedish viewers. "Why do you cheat your viewers by means of translating errors? The lady said the United States, you wrote ‘Russia, Iran and the regime,'" Katja Jakoub, an Arabic-speaking woman from Gothenburg pointed out in her post. This post has been shared by thousands of people, including many people of Arab descent who pointed out that the woman clearly said "Amrika," Arabic for the United States. They also pointed out that the Syrian woman actually said that "not everything is dependent on the US" and claimed that she "once again felt hope." It is not clear from the excerpt whether she was referring to the US-backed missile attack against the Syrian government or something else. In response to the public uproar, TV4 acknowledged that the translation was "incorrect." "During yesterday morning's broadcast, we sent out a feature from Syria in which the footage unfortunately was accompanied by the wrong text. Thus, the translation did not match what was actually said in the footage regarding this particular broadcast. This was discovered shortly afterwards and we rectified this immediately," TV4 wrote in its reply, stressing that subsequent broadcasts featured a more consistent translation. "Was this really a mistake from TV4? One translates the US as 'Russia, Iran and the regime' and lets it go on air during peak time to hundreds of thousands of viewers. Then one apologizes on TV4's Facebook page which is only read by several hundred… Looks more like TV4 owners would like get a world war started," user Christian Christensen wrote. On April 14, the US, Britain and France launched 103 cruise and air-to-surface missiles at a number of government facilities in Syria, in response to the alleged April 7 chemical attack in the Damascus suburb of Douma. 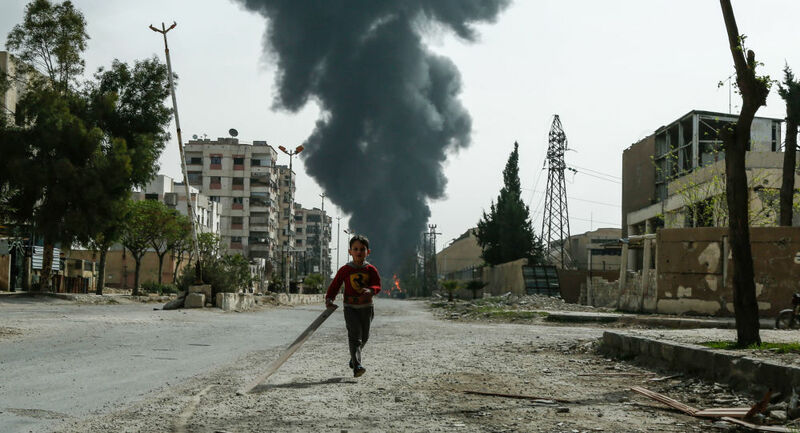 The airstrikes came even before the results of an ongoing investigation into the case by experts from the Organization for the Prohibition of Chemical Weapons were announced. Most of the missiles were intercepted by Syrian air defenses. The Stockholm-headquartered TV4 is one of Sweden's largest channels. It is fully owned by the Bonnier Group, which, in turn, is managed by the powerful media tycoon family the Bonniers, who run a network of about 170 companies in 15 countries, including Sweden's foremost dailies such as Dagens Nyheter, Expressen and Sydsvenskan.